Below you will find a list of the best corporate event venues in the San Antonio and South Texas Texas area. If you're planning a corporate event, corporate retreat, or corporate party, then you should check these corporate event venues in San Antonio and South Texas for your next event. If you want to find corporate event or retreat venues in another areas of Texas, click on our Corporate Events Page to find Corporate event venues in Austin, Dallas, Houston area, East Texas, West Texas, Central Texas/Texas Hill Country, and Golf Courses/Country Clubs. Work Hard and Play Harder! Host your next corporate event in style at the beautiful and functional THE SPRINGS in Boerne. At THE SPRINGS you'll find a versatile combination of space, amenities and exquisite elegance to house a classy corporate event. You can take advantage of their sophisticated banquet hall featuring indoor and outdoor party accommodations, WiFi access, a PA system with projector and screen, solid wood dance floors, stage, and other amenities. A dedicated and experienced staff will ensure you event is a success. Tables, chairs and clean-up services are included. Book your corporate or charitable golf event, tournament, or outing at Hill Country Golf Club, conveniently located just 20 minutes from downtown San Antonio.Â Set on 200 acres of historic ranch land in the Texas Hill Country, we offer customized events from 3 to 27 holes for groups of 10 to 216 players.Â Rely on the expertise of our experienced and professional golf club staff, including a dedicated tournament coordinator, to help facilitate every step of the planning and execution of your event.Â Contact Teresa Sinor, our Group Sales Manager, at (210) 509-1416 to start planning your San Antonio golf event today. Situated among 550 acres atop one of the highest points in San Antonio, La Cantera Resort & Spa is emerging from a multi-million dollar transformation that is setting a new standard for meetings in the Texas Hill Country. 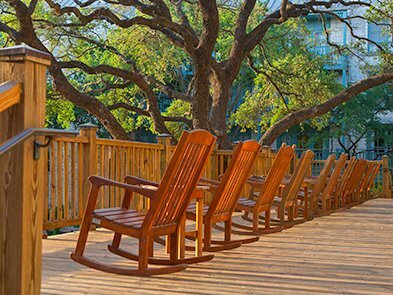 Accommodations include 498 beautifully appointed rooms and suites, many with Hill Country or golf course views and step-out balconies. The event venue features 115,000 square feet of indoor and outdoor event space, customized team-building activities, and state-of-the-art video and sound equipment in each room. Â La Cantera Resort & Spa also offers unrivaled restaurants and a meeting concierge available to assist you with every detail of your event. The Resort is famous for its two golf courses: The Resort Course at La Cantera and the Palmer Course at La Cantera designed by the legendary Arnold Palmer. In 2016, La Cantera Resort & Spa opened Loma de Vida Spa & Wellness, a 25,000 square foot luxury Texas Hill Country spa that offers meeting attendees the perfect retreat.